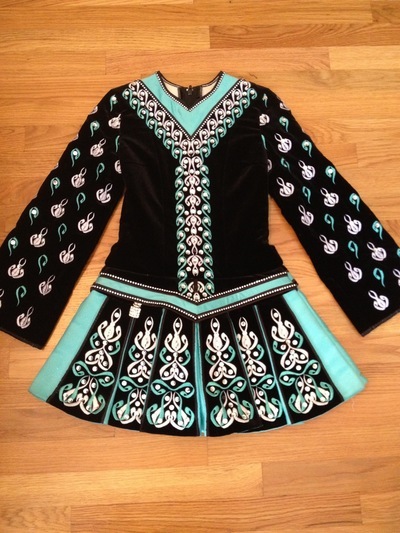 Beautiful Siopa Rince dress that is stunning on stage! 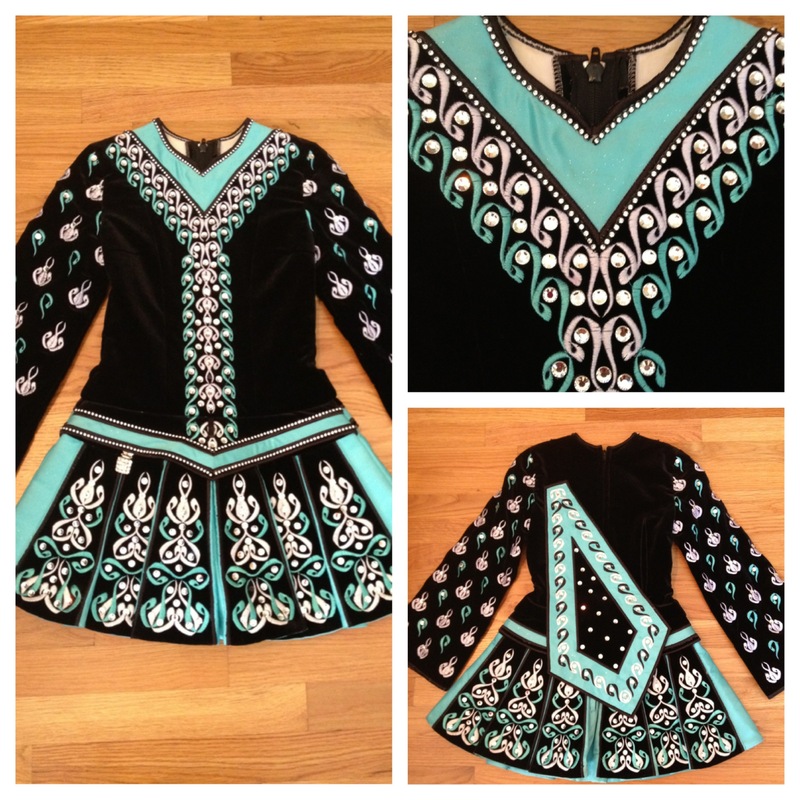 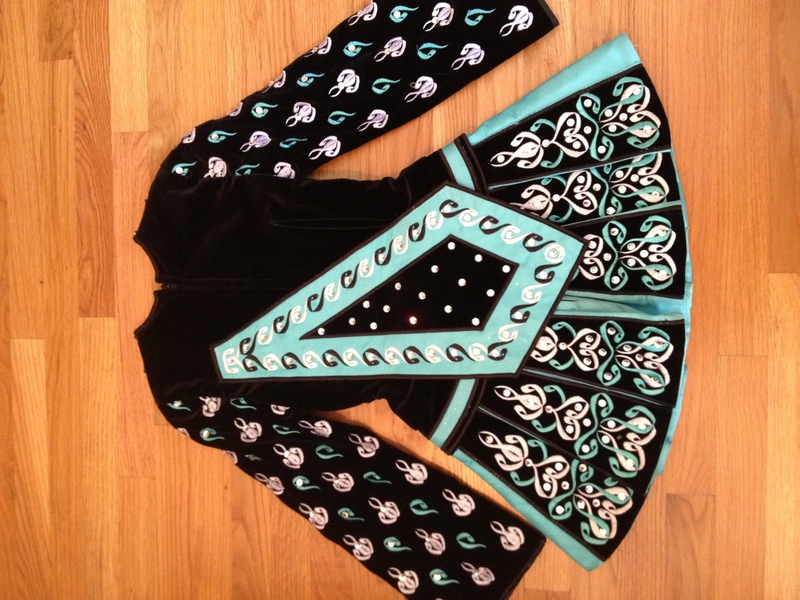 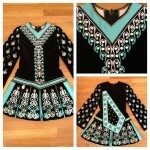 It has a black velvet bodice, and tiffany blue accents. 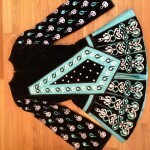 It is in perfect condition and comes with matching bloomers and headband.